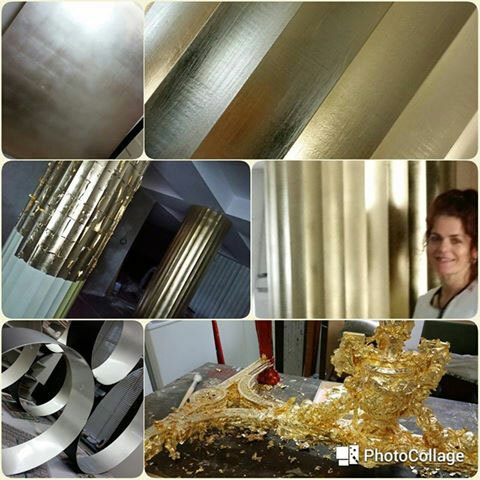 Dear Brigitte & Karl, Just want to say a BIG THANK YOU for the amazing Gilding Weekend class last week! Your Art Gilding Academy is a fantastic, unique place and I had a really great time! The teachers and course structure are brilliant, the atmosphere so friendly and relaxing, I should certainly recommend you and your course to all of my friends! As you noted on your website, gilding is a highly specialized field and as such holds ‘trade secrets’ that many are not willing to share, so your generosity in giving away your gilding knowledge is very much appreciated. Thank you both so very much Brigitte and Karl, for providing this incredible experience! I can’t wait to start my Master class in August! Many thanks again, Ana Ristevski PS – I hope you’ve had a really great break – and Karl, happy birthday again! Dear Karl & Brigitte, Thank you both so much for a very fullfilling 9 days at your Art Gilding Academy. I found the Master Class to be very interesting and have many ideas I would like to experiment with. I have proudly displayed all of my projects that I have created, each piece is so unique and memories that go along with it. Thank you also for your hospitality, coffee, wine and lunch yesterday was very special. See you again when I’m in Sydney. Dear Brigitte and Karl, Thank you for the opportunity to come and work with you on the Royal Pines Resort project. It has been a great pleasure to spend the last couple of weeks with you in Brisbane. I feel that I have learnt a lot and gained some invaluable gilding experience. 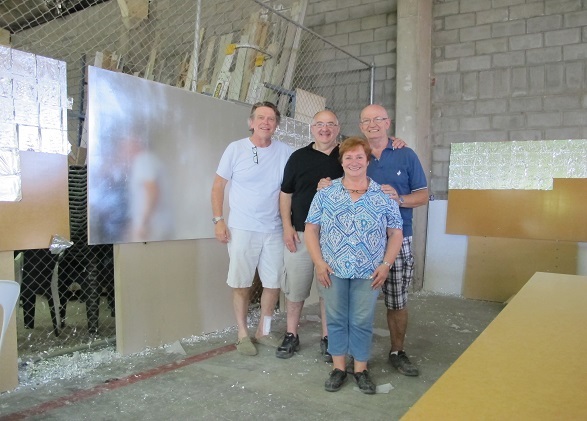 The time was filled with fun and it was a great gilding experience for us newcomers. I would certainly welcome any opportunity to work with you again. We had a few laughs…quite a few laughs! (that’s the understatement of the day…) To spend the time with the two of you, and Peter, was fun, easy and uncomplicated. I feel we have a formed a great friendship that I trust and hope will be long and lasting. The A-team was born… Brigitte, you’re a beautiful lady, thank you for looking after us so well and spoiling us, and Karl you’re a top shelf, A1 kinda’ guy. I hope for you both to have a fantastic and beautiful Christmas with friends and loved ones. Hi Brigitte and Karl. On behalf of Grahame and I, I would like to say a big THANK YOU for giving us a very enjoyable weekend. The class was great and the company was just right to make it a perfect experience. Nick and George were good class mates. 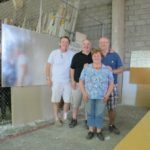 Karl, Thanks for your patience and for passing on your knowledge to us, I just hope to be able to continue with the gilding at home and follow all the instructions. I hope we did not give you too much of a hard time but it was all in fun and made for a lively time. Brigitte, Thanks for your hospitality with the amazing white, gold laced, wine and the decadent Tim Tams. A lovely touch. Kindest regards.